Cardiovascular disease remains a leading cause of death nationally. The top five leading preventable risk factors for heart disease are elevated cholesterol, diabetes, hypertension, obesity and smoking. Researchers from Emory's Rollins School of Public Health have determined that despite decades of progress in reducing cardiovascular deaths, preventable risk factors continue to account for half of heart disease deaths. Led by Shivani Patel, PhD, researcher in the Hubert Department of Global Health at Rollins School of Public Health, the team studied data from the Behavioral Risk Factor Surveillance System (BRFSS) national surveys from 2009 to 2010. The goal was to determine the extent to which national cardiovascular mortality could be expected to decrease if all states were successful at reducing those risk factor levels to specified target levels. 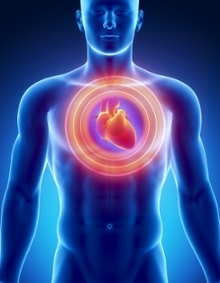 Cardiovascular disease remains a leading cause of death nationally. The top five leading preventable risk factors for heart disease are elevated cholesterol, diabetes, hypertension, obesity and smoking. The fraction of cardiovascular deaths that could have been prevented in 2009 to 2010 were reported under two scenarios: complete elimination of risk factors, and a more realistic goal of reduction of risk factors to the best achieved levels in U.S. states in 2009-2010. Findings suggest that about half of deaths could be prevented if the modifiable risk factors were completely eliminated. Fewer than 10 percent of cardiovascular deaths could be prevented if all states were to achieve risk factor levels observed in the best-performing states. "All states could benefit from more aggressive policies and programs to help reduce risk of death from heart disease," explains Patel. Complete findings from national survey data are published in the June edition of Annals of Internal Medicine.